The unfortunate event of February 20 raises the question whether the supreme court decision on powers and accountability of the Delhi government will really settle the matters. Even as the details of what transpired at midnight are being investigated, an elected representative has made a provocative speech openly asking the public to assault officers. Both the chief minister and the chief secretary have maintained silence. Chief minister Arvind Kejriwal, speaking to a group of officers on March 7, clarified that he can be stubborn but not violent. “We will never indulge in violence – that too with our own people. We will argue and fight but we will not indulge in violence.” This confirms that certainly heated arguments took place at the midnight meeting in the presence of the CM, and possibly a “fight”, with the details under investigation. The joint council in its memorandum to the CM said, “The dialogues with public servants at every level should be proper, decent and brotherly. All the pillars of democracy including the political executive should function within the limits of the law.” It also demanded that all the meetings of executives, including political executives and bureaucrats, should be held in office hours except in case of emergency. It has not been denied that the chief secretary was made to sit between two persons, which is unusual. The high court has also stepped into the controversy, characterising it as “very unfortunate”, as the privileges committee of the legislative assembly issued a notice to the chief secretary. The court has prima facie found merit in the stand of the chief secretary, observing, “By hook or crook, the chief secretary is being harassed.” The court also observed that, “at a place where the chief minister is sitting a person is assaulted. What is the law and order situation? This is happening in front of the chief minister. What about others?” The court went on to observe, “How can I be satisfied that no such incident would take place in future?” Which is really the crux of the controversy. An altercation between elected representatives and officials in the presence of the CM is unprecedented and required him to immediately intervene. 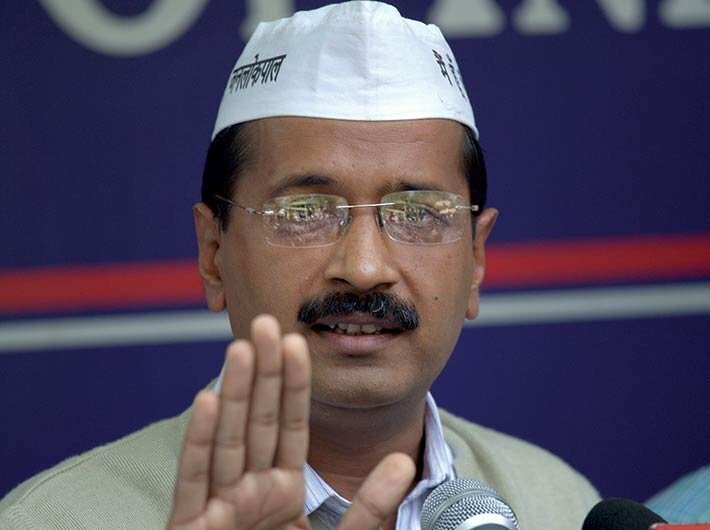 As a first-time CM, Kejriwal can in his defence say he himself was taken aback by the sudden turn of events. That does not absolve him from making amends immediately afterwards. Is that why the chief secretary waited before taking the extreme step of registering an FIR? The underlying issue is not the ongoing constitutional tussle but the approach of the CM to governance, and he has been let down by his advisers. When Mulayam Singh Yadav became the CM of Uttar Pradesh, the agriculture secretary was the first officer he called for a meeting in his office – at 11 pm. He just made two remarks, which were meant as a message to the bureaucracy. He said, “I am not as educated as you are, but I must have some qualities which you do not have for me to be the CM.” This applies fully to Kejriwal as well. Mulayam Singh went onto say: “Never mislead me and we will get along very well.” Trust, Mr Kejriwal, is the essence of the relationship between the elected and selected members of the executive, and the defining feature of the success of all CMs. That is how the CMs of West Bengal, Odisha and Kerala deliver on their manifesto promises, despite frequently being at odds with the central government. Disagreement on file is not to be equated with sabotage. Kejriwal’s image of the administration has validity, because the view from outside is a partial one. Mulayam Singh surprised the agriculture secretary with the assertion that there was no justification to continue giving agricultural subsidy on the basis of caste. His response to the strong denial, and this is important Mr Kejriwal, was not to criticise or browbeat the bureaucrat, but to ask him to study the matter and come back a week later. When the officer went into the details he saw that irrigated crops were subsidised as part of national policy, and the landholders happened to be Brahmins and Thakurs. The articulation reflected the world view of the CM, but he had a point that subsidies should shift to dryland crops, where landholders were Yadavs, his core supporters. Mr Kejriwal, your overwhelming support reflects social change, just as it did for Mulayam Singh, and new policies are justified, but not your approach. Bureaucrats do much more than the proverbial paper pushing. They routinely make decisions that significantly affect the way government serves its citizens. Although the impact of each of these decisions may be small, collectively they determine the relationship between citizens and government. Bureaucrats have been given this power because of specialised competence to make such decisions. How to reconcile the growth of decision-making in powerful government bureaucracies with ideas of democracy and popular control is an issue that is not peculiar to Delhi. Once in office most successful candidates have discovered that the problem is more formidable than they thought. Transfers are rare enough to shift markedly the direction of the tens of thousands of bureaucrats who control the day-to-day operation of government agencies and who possess both the information and the expertise necessary to make those agencies work. A neat compartmentalisation of government functions between policy and administration is not an accurate description of reality. The two sets of political actors do play different roles in which politicians and bureaucrats bring distinctive perspectives and competencies to governance. There is no justification for the events of that fateful night and the court has not given the assailants bail. The way forward is for Kejriwal to take disciplinary action, within the party framework, against the erring elected representative, and then invite the chief secretary for tea and work out an arrangement with him how the civil servants advice when they disagree would be handled on issues that are of priority for the government. Civil servants know how to work with political parties of different hues, but the CM must give them respect and their advice due weight; this might cut short the to-and-fro movement of files between the CM and the LG, and, Mr Kejriwal, may well be the reason for your re-election.